Laminate flooring today is one of the most popular flooring. 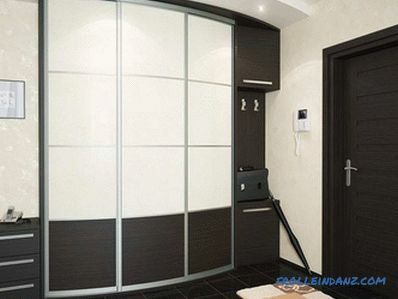 Many home and apartment owners, who have decided to overhaul their home, prefer this material because of its low price, wide variety of colors and textures, high quality, durability and ease of maintenance. Preparing the floor for laying laminate is a very important and crucial stage of work. We offer detailed step-by-step instructions that will tell you how to do it right. Strange as it may seem, the preparatory stage is very important for the proper installation of laminate flooring, so do not neglect our advice. # 1. 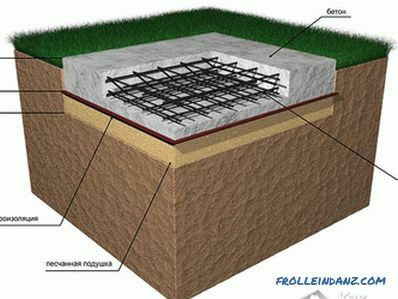 If the base of the floor is made of concrete, you should check its flatness and horizontal position. If according to these indicators the concrete base is far from ideal, it is necessary to pour a thin layer of self-leveling screed. 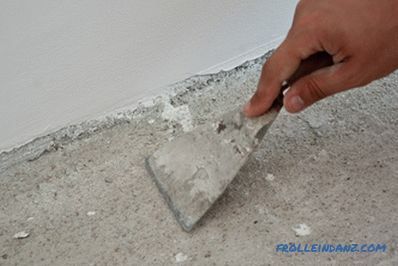 Pre-fill the cracks in the concrete with the solution; carefully remove all dust and grease stains from the surface. # 2. If the base of your floor is wooden, you must make sure that it is even and free of cracks before laying the laminate. If the wood is damaged or deformed, we recommend laying a layer of plywood 10-12 mm thick over the entire surface. Fix the plywood sheets to a wooden base or pre-laid logs with nails or screws. We recommend that you mark the location of the lags on the walls to use these marks when you proceed to fixing the baseboards. If you want to avoid problems in the future, be sure to read the manufacturer’s instructions before laying the plywood. In most cases, you should leave a 3 mm expansion seam between the sheets. The gaps between the plywood sheets and the walls of the room should be sealed to create a barrier to moisture and improve the heat and sound insulation of the room. # 3. If plywood does not fit into your repair budget, you can use 11 mm OSB-plates. However, it should be remembered that OSB should not be used in places exposed to moisture, since the material will swell, it may cause mold and mildew. See material: Leveling the floor under the laminate, depending on the base and the nature of the irregularities. 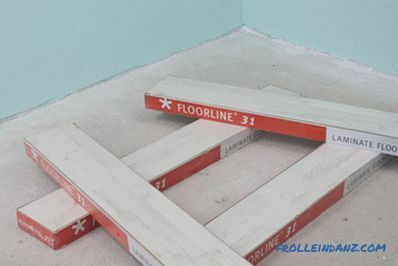 Using a level, make sure that the floor surface is sufficiently level. 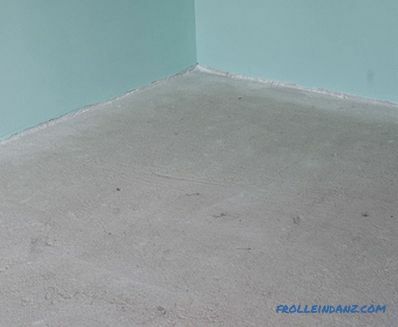 Fill a self-leveling screed if the floor is not flat enough. Clean the floor surface properly with a vacuum cleaner. 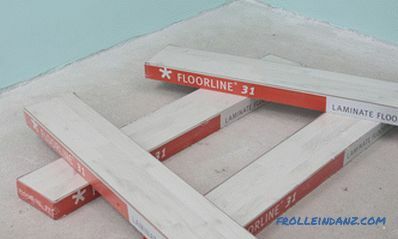 Before you start laying laminate, you must make sure that the surface of the sub-floor is horizontal using the level. This aspect is very important, because if the surface is uneven, the new laminate will sag and creak, which will lead to its rapid wear. 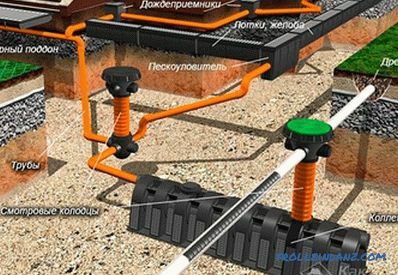 Thoroughly clean the surface using a vacuum cleaner or a broom, since the remaining small particles may jeopardize the entire project. Pay special attention to the corners and the perimeter of the room. Be prepared to repeat the cleaning process if necessary. 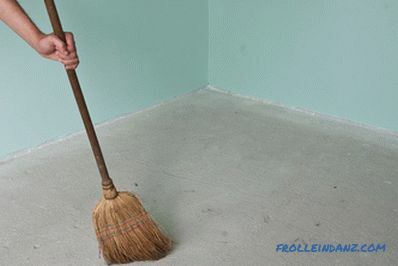 To protect your lungs from dust when sweeping, use a respirator. At the end of this stage, properly ventilate the room. Cleaning the floor surface from dust. When preparing a concrete floor for laminate flooring, use a chisel or a large scraper to remove concrete blocks or any other unevenness of the subfloor. Do not forget, using a broom or vacuum cleaner, to remove all the resulting garbage. The vacuum cleaner in this case is preferable, since it is less conducive to the spread of dust around. 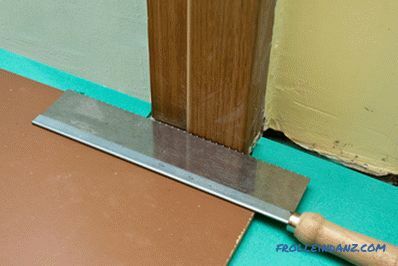 If you skip this step, the laminate can deform over time or start squeaking. 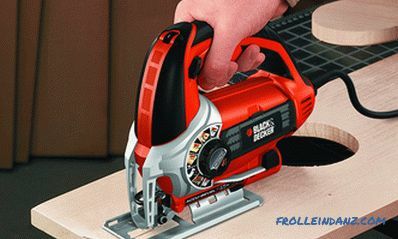 The elimination of asperities is a very important stage of preparing the floor before laying the laminate, so carefully check the surface, and not once. Remove dried droplets of cement mortar with a spatula. File down the door-posts using the special Pull-Saw or regular hacksaw. Many pseudomasters make cutouts in the laminate board in the shape of a jamb, but this method is completely wrong. This not only does not look quite aesthetically pleasing, but can also lead to sagging and creaking laminate. The correct way is to carefully file the door jamb from below.In this case, the thickness of the gap formed between the joint and the draft floor should be equal to the total thickness of the laminate board and the substrate. Having made a filing, do not forget to check whether the laminate is placed there. Filing of the door jamb. Using a knife, remove the remaining foam from under the doorframe. Work with great care, otherwise you may scratch the door jamb. Lastly, check the floor surface for cracks, irregularities and oily stains. 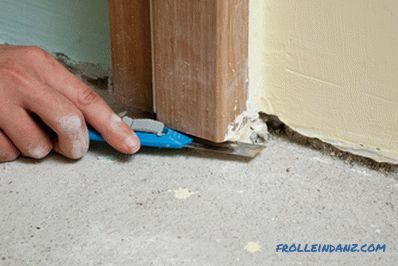 Remove the foam and other residues from under the door jamb. Prepare in advance and the materials themselves. Packed laminate boards should be stored in a horizontal position in a room where they will be laid for at least 48 hours. The room temperature should not be less than 18 0 C, and the distance between the walls and laminate packages should be more than 50 cm. To clarify all these details, read the manufacturer's instructions on the laminate packaging. The preparation of the material is of great importance for the achievement of professional results, so follow these recommendations. 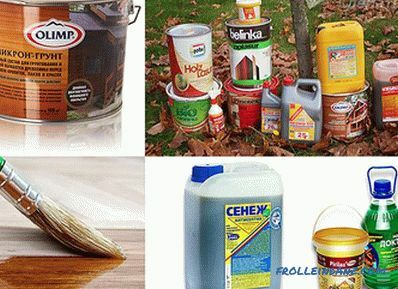 Do not forget to buy in advance the substrate under the laminate. The required area can be calculated by simply multiplying the length of the room by the width and adding an additional 5-10% to the waste when cutting. You prepared the floor under the laminate. Now it’s time to start laying the flooring itself.